During the pre-war period Morihei Ueshiba was studying Daito-ryu Aiki-jujutsu with its founder Sokaku Takeda. In 1919 Ueshiba joined a Shinto sect in Ayabe where he opened his first dojo. In 1922 Takeda Sensei gave him his kyoju dairi (teaching licence) and a sword instruction teaching scroll. He continued for a while as a teaching assistant to Takeda. In 1925 he is said to have experienced a spiritual enlightenment. Nobody could deny the noticable increase in his martial arts skills that immediately followed. Although he was fast developing his own concepts that integrated with his other studies in life, it was much further through his teachings (1942) that Aikido was officially named and recognised as the Ueshiba form of Jujutsu. In the post war period, led by the Ueshiba family the Aikikai Foundation became very successful and recognised to a wider audience. However, following the war the US forces put strict bans in place against the practice of martial arts in Tokyo. It wasn't until years later that Kisshomaru Ueshiba (the Founder's son) revived the original Aikikai headquarters in Tokyo. Frustrated with the martial arts being prohibited in Tokyo, Koichi Tohei and Gozo Shioda took it upon themselves to travel to continue promoting and spreading the teachings of Aikido. Yoseikan Aikido - founded in 1931 bo Minoru Mochizuki. After becoming a prodigy and recognised competitor in Judo under Jigoro Kano (Founder of Judo). In 1930 Kano Sensei sent him to study Aiki-Jujutsu under Morihei Ueshiba. Following a year as an Uchi-deshi (live in student) he was awarded two Daito-Ryu scrolls. Minoru Mochizuki later went on to reach high ranks in Aikido, Jujutsu, Iaido, Judo, Kobudo, Kendo, Karate and Jojutsu. Yoshinkan Aikido - founded in 1955 by Gozo Shioda. As a weak child, his father started him in judo through the family dojo where he received his 3rd dan whilst still at secondary school. He attended University in the same class as Masahiko Kimura (Judo Master) and Mas Oyama (Kyokushin Karate Founder). In 1932 Shioda Sensei began training as an Uchi-deshi (live-in student), which he continued to do so for the next 8 years. After winning the prize at the All Japan Kobudo demonstration for most outstanding demonstration, through sponsorship money he was able to build an Aikido dojo and start teaching Yoshinkan Aikido. The Yoshinkan name was a continuation in honour to the name of his father's dojo. 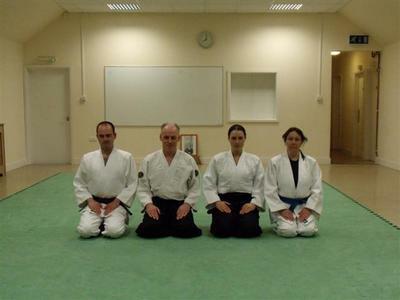 Yoshinkan Aikido is a more self defence based style devised as a method to teach technique in stages to larger numbers. Shioda Sensei is known for developing a training program for the Tokyo Metropolitan Police Department. In 1973 Shioda sent one of his senior students "Takashi Kushida" to the United States to introduce Yoshinkan Aikido. Shodokan Aikido - founded in 1967 by Kenji Tomiki. With an already strong background in Judo under Jigoro Kano, Kenji Tomiki was one of the earliest students to study under Morihei Ueshiba, starting in 1926. From 1936 until the second world war ended, he taught Aikibudo (an early form of Aikido) to the Kanton Army. He went on to receive the first 8th dan in Aikido. Due to his extensive study in Judo and the necessary interest in the effectiveness of technique for survival, he later went on to form Tomiki Aikido in 1978 as a competitive sport based system for Aikido. Following the death of Morihei Ueshiba (O'Sensei), senior students felt the time was right for them to form their own independent styles. Iwama Ryu - Also known as the Iwama Style was formed by Morihiro Saito (named from Ueshiba's retirement in Iwama). Morihiro Saito started off studying Kendo. After World War 2 ended, just as with martial arts being prohibited, so was the carrying of any weapons. After transferring to Iwama through work, he began training in Judo in Ishioka. In 1946 Morihiro Saito heared about O'Sensei (Morihei Ueshiba) through word of mouth and at only 18 years old, joined his other live-in students Kisshomaru Ueshiba, Tadashi Abe and Koichi Tohei. He continued to study until Ueshiba's passing in 1969. Through working unusual hours with the National Railway, this allowed Morihiro Saito the rare opportunity to train one to one early in the mornings with Ueshiba Sensei and become very proficiant at the sword (bokken) and short staff. 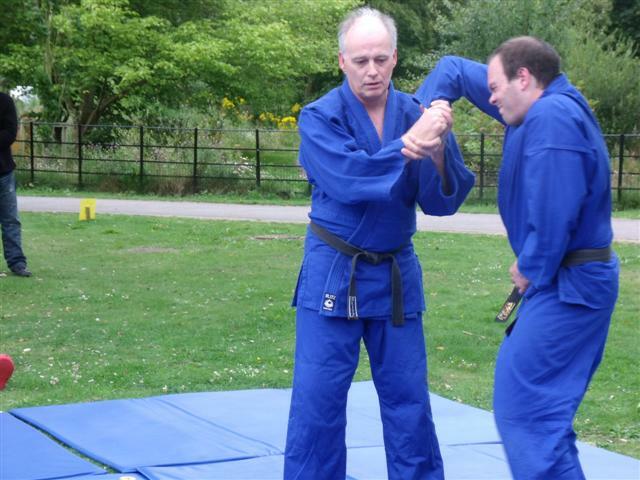 Ki Society - This was formed by Koichi Tohei following his departure from the Aikikai Honbu Dojo as Chief Instructor. It was following the death of O'Sensei (Morihei Ueshiba) that their were conflicts regarding Tohei's incorporating Ki exercies to his Aikido teachings. 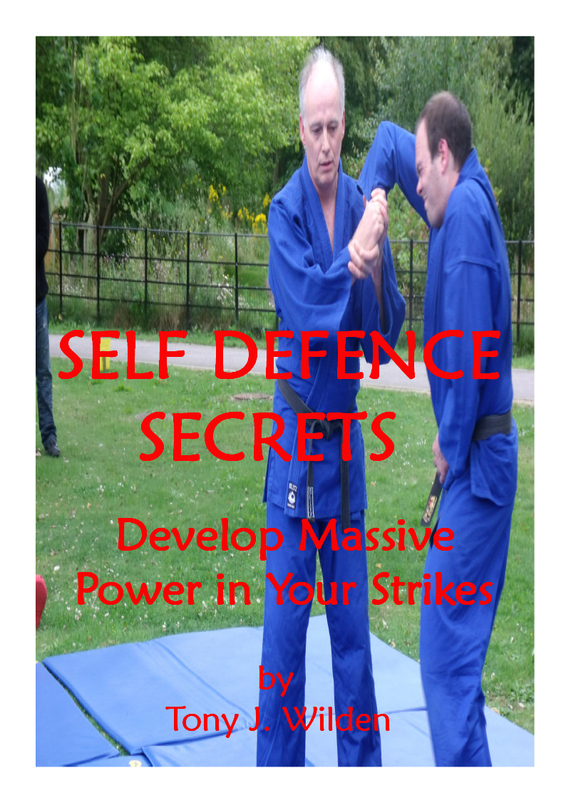 He firmly believed in the need to practice ki development within Aikido training. With this in mind, he separated and formed Shin Shin Toitsu Aikido (Aikido with mind and body unified) goverened by the Ki Society. Koichi Tohei started studying judo but had to stop after developing a pleurisy illness. 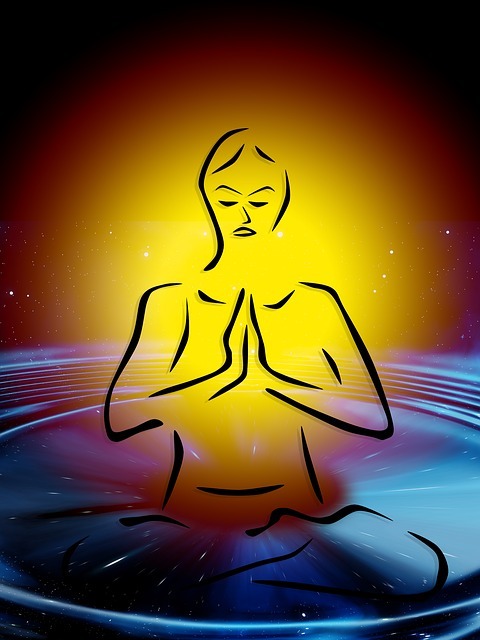 He turned his attentions to Zen meditation and misogi breathing exercies taught to him at the Ichikukai Dojo in Tokyo. 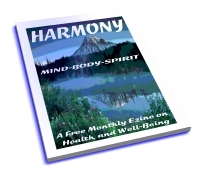 He believed this accountable for his full recovery and his later development of Kiatsu physical healing. Following the recommendation of his judo instructor Shohei Mori, in 1940 Koichi Tohei trained with Ueshiba for six months before becoming a representative to teach the Military police. At this point there was a lot of speculation as Tohei had not received any official kyu or dan ranking. He was later presented with the rank of 5th dan due to his advanced rate of learning. In 1953 Koichi Tohei became the first student (given permission) to spread Aikido outside Japan, travelling to Hawaii, US and Europe. Tohei Sensei went on to teach Aikido to Hiroshi Tada, Seigo Yamaguchi, Yoshimitsu Yamada, Kazuo Chiba and Steven Seagal to name just a few. In 1969 Ueshiba Sensei honoured him by making him the first student to receive the rank of 10th dan. He continued to teach Aikido with a strong emphasis on principles and breathing as part of daily training. Kisshomaru Ueshiba - Began training with his father Morihei at around 1937. In 1948 he helped oversee the building and development of Aikikai Honbu. In 1969 after the passing of his father, Kisshomaru Ueshiba took over as Doshu (Hereditory head of dojo) and continued his fathers teachings at Aikikai Honbu Dojo. Following ill health in 1998 and his subsequent death in 1999, Moriteru Ueshiba became Doshu to continue the family line as head of Aikikai. Wadokai Aikido - Roy Suenaka. The Kokusai Aikido (Kobayashi aikido) - Hirokazu Kobayashi. Tendoryu aikido - Kenji Shimizu. Originally Founding "Shimizu Dojo" in 1969. Shingu Style - Michio Hikitsuchi. Although Aikido is still a young martial art at less that 100 years old, its important that we don't forget where and how it started. To think how far it has travelled in such a short space of time makes me excited to see the developments over future years to come. My apologies for other lineages that I have missed out. I would very much appreciate if you would take the time to add to my article. A comprehensive article... thanks Robin. For more on aikido history, check out other pages of this site, or go to the best resource... Aikido Journal Online by Sensei Stanley Pranin.